The wider area of Paleochora is exquisitely rich in medieval and Byzantine monuments. You can easily visit many small Byzantine churches with interesting and rare paintings as well as ruins of early Christian churches. The aforementioned churches are spread to a number of worth visiting villages all over the province of Selino, the richest area in temples with murals in Crete. The churches of the region are about 130 with most of them constructed in the 14th and 15th century. East of Paleochora at the village of Anidri, there is the cross-shaped church of St. George with impressive frescoes of the famous painter John Pagomenos which date back to 1323. At the paradise village of Azogyres there is St.John the Hermits Church and the Church of the Holy Fathers. At the same village the well-known Historical and Folklore Museum is worth visiting. Also at the eastern villages of Prodromi, Rodovani and Koustogerako you will feel spirituality oozing from their well-maintained icon-paintings. 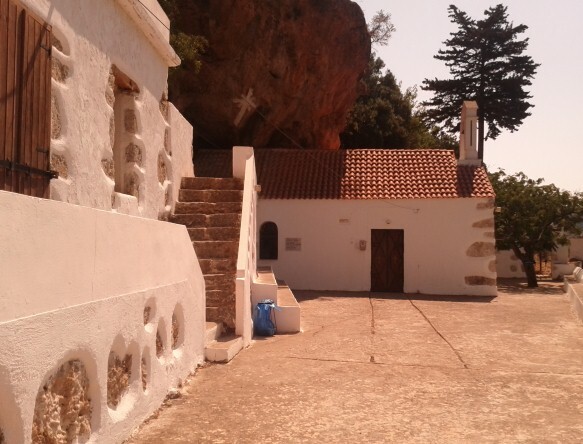 To the west of Paleochora, it is well worth visiting the numerous churches in the area of Kundura and Voutas as with those in Sklavopoula and Sarakina. All well maintained at traditional and picturesque villages of the area of Selino.